Roger Stone, a longtime adviser to U.S. President Donald Trump, was arrested Friday under an indictment issued by the special counsel examining possible collusion with Russia. 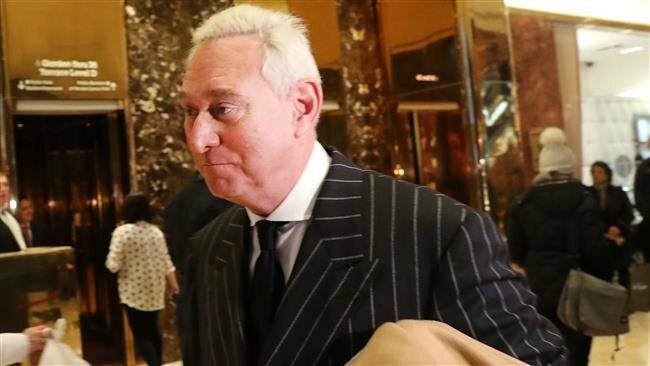 Stone was charged with seven counts, including obstruction of an official proceeding, making false statements, and witness tampering, according to Special Counsel Robert Mueller’s office. The indictment concerns Stone’s communications with WikiLeaks founder Julian Assange, whose group leaked tens of thousands of stolen Democratic Party emails that embarrassed Trump’s rival Hillary Clinton in an apparent bid to influence the election. It was the first indictment in months by the special prosecutor probing Russian efforts to tip the 2016 U.S. election toward Trump and whether he and his people tried to obstruct justice. Stone, who launched his career as a campaign aide to Richard Nixon and has a tattoo on his back of the first U.S. president to resign from office, has spent decades advising various U.S. political campaigns. Stone was one of the first members of Trump’s team when the billionaire real estate magnate formally announced he was seeking office, but he left months later over a dispute. “This was supposed to be about Russian collusion, and it appears to be an effort to silence or punish the president’s supporters and his advocates,” he told NBC’s “Meet The Press” in May. Stone now joins Trump’s ex-campaign manager Paul Manafort, his former personal attorney and fixer Michael Cohen, and former National Security Advisor Michael Flynn, among others, as Trump confidantes who have been indicted by the special prosecutor. U.S. President Donald Trump‘s former lawyer Michael Cohen delivered a blistering attack on his ex-boss as he was sentenced to three years in prison on Wednesday for multiple crimes including paying “hush money” to two women who claimed to have had affairs with Trump. “It was my duty to cover up his dirty deeds,” Cohen said as he pleaded for leniency before U.S. District Judge William H. Pauley III.